In my last few Blogs, I have talked about getting honest with yourself, leaving the past behind, and learning to recognize the negative thinking that defeats us before we start. Now, I would like to talk about the business model that most of us Baby Boomers have in our head. We have all been manipulated since the day of our birth. We have been educated and groomed by the powers that be, to be productive members of an Industrial model that no longer exists. We have studied hard in school so that we could get good grades so we could participate in the advanced classes, so that we could get into the best colleges, so that we would have the best chance of getting a career with a leading Industrial firm. Due to worldwide changes, a global economy, and political action by our government, our country is losing many jobs to outsourcing. We are losing the game in the new global economy, we are no longer a leading industrial nation. In 2005, it was reported that China was the largest producer of steel, followed by Japan, Russia, and the United States of America. This is probably still the same, as China still has a great demand of steel for construction as their economy flies out the roof. The company that produces the largest amount of steel is Arcelor Mittal, which is a global company with headquarters in Luxembourg. Which country produces the most cars? You may have heard that China became the second biggest auto market after the United States, having just edged out Germany. But which countries and which manufacturers are building all those cars and trucks? According to the Organization of Motor Vehicle Manufacturers, China is far and away the biggest producer of vehicles, both cars and trucks. China produced 13.8 million units in 2009, nearly double that of the second-largest vehicle manufacturing nation, Japan. Surprised? I was. The U.S. comes in third in this contest. The USA has been the world’s largest auto market for the last fifty years. There was a time when nearly all those cars and trucks were made in the USA, too. Now, however, of the 10.4 million vehicles that were sold in the U.S. in 2009, just 5.8 million were actually manufactured there. The rest were imported from its neighbors; Canada and Mexico, and also from overseas, from Japan, Europe or South Korea. Ouch! So, between oil imports and auto imports, not to mention textiles, electronics, garments, and chochkees, no wonder the US balance of trade is so negative. And with zero interest rates (effectively) and the Fed printing money, it’s no surprise that the US Dollar is under so much pressure. Behind the reassuring statements from our current administration and others that the “worst is over” the reality of the credit collapse since August 2007 is a deepening economic contraction which I believe will surpass the Great Depression of the 1929-1938 period. While in one perspective, this is all bad news, in another, it is an environment of change and opportunity. We are currently transitioning to a totally different economic model. One in which there will be many new millionaires rising to the top. For us Baby Boomers, this requires a new perspective, fresh eyes, a change in mindset. Without this change, many will simply be left behind! Come gather ’round people, Wherever you roam, And admit that the waters Around you have grown. And accept it that soon You’ll be drenched to the bone. If your time to you Is worth savin’, Then you better start swimming’ Or you’ll sink like a stone. For the times they are a-changin’. For many, especially Seniors, network marketing represents an opportunity of explosive and unbelievably attainable wealth, but only if one understands the rules. Of course, if you have a solid retirement and discretionary capital, these new rules may not mean much to you. These new rules, along with this new economic model is a real opportunity for those who have fallen through the cracks. Many have lost their investments, their retirements, and many with IRA’s have seen them dwindle to almost nothing. Some have been laid off, or forced to retire early. And many, like myself, found themselves in the unenviable position of having to much month left at the end of the money. For me, this was exaserbated by catastrophic medical problems, loss of a business, and having all of the wind knocked out of me. Before I end this today, I want to make one thing clear. I want to explain why I have opened my life to the many who will read this. I want those “few” out there who can identify with me to know that there is hope. There are answers available for the taking. You can not only survive but you can prosper if you are an Eagle! I read a lot of motivational material and my favorite coach is Jim Rohn. In a recent article of his, he laments that sending ducks to eagle school is a waste of time. Eagles are found, they are not made! You cannot teach a duck to be an eagle! If you know that you have that magic something, that spark of motivation that will get you up off the coach, then I want you to let me know! Leave me a comment and tell me if you are an eagle! In my next Blog, I will begin telling you about the Challenge that I have found, that has changed my life, my health, and my bank account! 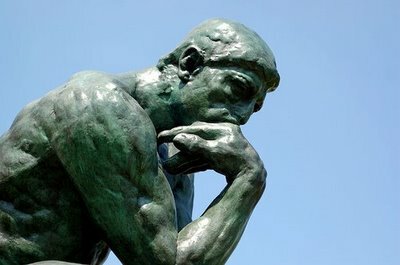 There is a verse in the Book of Proverbs; “As a man thinketh in his heart, so is he” Proverbs 27:3 Of course, this book was written by King Soloman, one of the wisest men who ever lived. In this little verse, there is much wisdom, but only if you really know what it means. Besides the obvious reference here, is the idea that who we really are, is the way we think in our heart, not what we say or do. We are in reality, what we think. If a person grows up with comments from his parents that he or she is a loser, then that person comes to believe they are a loser. If a child is told repeatedly that they will never amount to anything, then guess what. If we believe that we will always be overweight, always be struggling for money, never find that one special person or that our relationships are doomed to failure, then we always get what we believe. Haven’t you ever asked yourself where these ideas about yourself have come from? Do you simply believe that you have these ideas because you are unlucky? Unfortunately, we are our own worse enemy. We have to accept the ultimate responsibility for what we think! We all begin to form our ideas about ourselves when we are very young, These impressions come not just from parents. They come from other relatives, health care professionals, school teachers, baby sitters and friends. Some of these impressions are good, and some are not. Our life’s experiences add cards with bad data as well. But, how do we process these impressions? How do they form our ideas? And, how do they affect our future? All human beings have something called a reticular activating system. This system is actually located in the brain stem, where our instincts are also located. And, what does this system have to do with the way we think? More than you can possibly imagine! The R.A.S. (look it up!) could be compared to a very efficient librarian. Some of my older readers will remember going to a library and using the Dewey Decimal Sysyem to locate a book. Basically, when the right card was found, you would know the Author’s name, the name of the company who published the book, a little about what the book was about, and a number containing a decimal that looked like this; 903.12. With this number, you would proceed to the 900 section of the library, find the shelf numbered 903, then look down the shelf and find the 12th book with this number displayed on the spine. It was a very efficient system, and you could go into any library and quickly find any book amidst tens of thousands of books. Of course, this is all done by computers today. You see, your R.A.S. is already filled with millions of file cards. You have been accumulating them from the time you were born. Sadly, some of your cards contain negative and inaccurate data! Before you can become successful in your life’s goals, these cards “must” be removed, discarded, and replaced with cards containing accurate and positive data. The problem with some of your bad cards, is that you believe what is contained on them! These negative ideas have become a part of who you really are! If you do not overcome them, then the chances of you realizing your dreams is very slim. The following are some other examples of bad thinking. Looking at things in absolute, black & white categories. “Either / Or” thinking. Viewing a single negative event as a never-ending pattern of defeat. “Always” and “never” thinking. Dwelling on one negative detail, so your vision of an entire situation becomes dark and cloudy, like the drop of ink that discolors an entire glass of water. Insisting that your own positive qualities or accomplishments “don’t count.” Difficulty with accepting compliments. A) Mind Reading: You assume that you know what someone else is thinking or feeling, and you react as if it were true. B) Fortune Telling: You predict a future where things can’t change or turn out badly. Creating your own Soap Opera. Identifying with your shortcomings and mistakes, calling yourself names like “stupid”, “loser”, “jerk” or “fool,” instead of pinpointing the cause of the problem so you can learn from it, or try to correct it. Blaming yourself for something you weren’t entirely responsible for, or how someone else feels. Conversely, you may blame other people, external events, or fate, while overlooking how your own attitudes and behavior may have contributed to a problem. Artificially linking two different goals or expectations as if they were one. The above list is based on the work of David Burns. Worse than these, are the cards that keep you fat, or poor, or socially challenged. Cards that say you will never be a success in business, or that your marriage will never last, or that if something bad is going to happen, it will happen to you. You get the idea. I will refer back to this concept in future blogs as we discover how to change, how to be successful, how to realize your dreams.